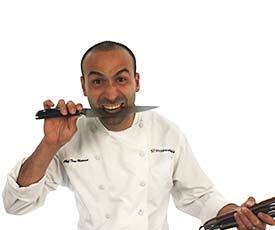 Chef Tony Matassa was trained in his family's restaurant virtually from the time he was born! 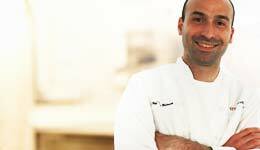 In his career, he has worked with some of the best chefs in the Cajun heartland, including Louisiana Chef Andrew Jaeger, French Chef Gerard Hemery, and Baton Rouge favorite Chef Joey Distefano. Want to infuse your favorite beer into your next smoked pork shoulder? 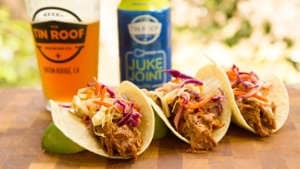 In this recipe, you'll learn how to make a beer brine for pork, resulting in incredibly juicy and flavorful pulled pork! Do you love beer? Do you love Barbecue? This recipe is for you! In this recipe, you'll learn how to make homemade Amber Ale beer-infused BBQ sauce. Perfect for parties or appetizers, these delicious char-grilled oysters are easy to make and have a great kick! We use reusable oyster shells for this recipe so there is no shucking required! Everybody loves tender and juicy, smoked St. Louis style spare ribs. 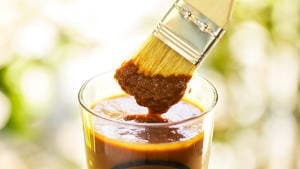 While the ribs smoke, you can make a homemade Pineapple Chipotle BBQ sauce that brings the perfect amount of sweet and heat! BBQ chicken is a staple dish of most barbecue cookouts. 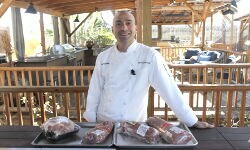 Chef Tony shows you how to properly brine and grill your chicken and then slather it in a thick Bourbon Peach BBQ Sauce! Nachos are always a popular party food. Make this recipe for your next party, and we guarantee they'll be a hit. Grab a drink and relax while you go low and slow on a kamado grill in order to create the perfect smoked pulled pork shoulder. These buffalo wings are always a favorite at tailgates or football parties. Chef also shares his recipes for several dipping sauces. On this pizza, the melted mozzarella cheese and blue cheese crumbles are a perfect complement to the spicy buffalo sauce. This smoked pork loin is stuffed with melty brie, smoky bacon, pineapple bits and more. You will want to be sure to bookmark this recipe. Ground lamb seasoned with fresh herbs and paired with a cucumber sauce. This dish is easy and it will impress your friends. What Gas Grill is Best For You? 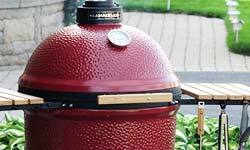 Looking for the perfect gas grill? 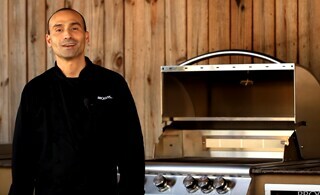 In this video, Chef Tony looks at some things you will want to consider when shopping for a gas grill. Chef Tony shows you how to safely fry a turkey and some of the gear you will need. Chef Tony walks you through the basics you need to know about the general care and maintenance of kamado style charcoal grills. 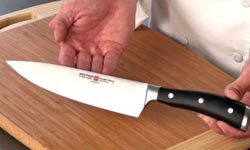 Learn the important aspects to consider when selecting a quality set of kitchen cutlery and knives. The best rubs aren't bought at a store, they're prepared in your kitchen. Discover how simple it is to make your own rub. 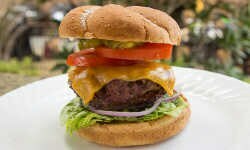 Cooking the perfect hamburger is a skill that every Grillmaster should have. Follow this recipe to get a perfect, juicy burger every time. Learn about the differences between these often confused pork roast types, and how they are best prepared. 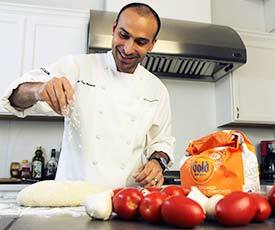 Watch Chef Tony demonstrate his best practices for efficiently chopping and dicing an onion. 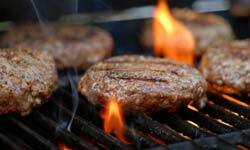 Take a look as Chef Tony walks you through the "Do's" and "Don'ts" of grilling hamburgers. Looking for a grill but not sure where to start? 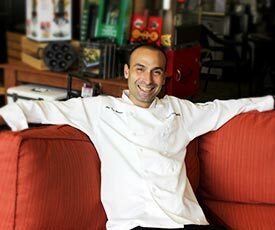 Read Chef Tony's grill reviews and get his expert opinion. 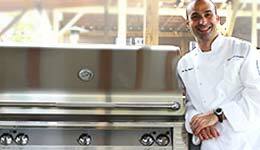 Watch as Chef Tony gives detailed overviews of our most popular gas and kamado grills. 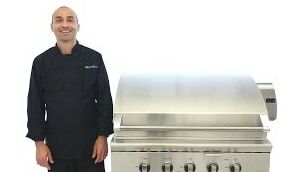 Chef Tony loves the DCS Professional 36 inch gas grill because he gets outstanding results every time he uses the grill. 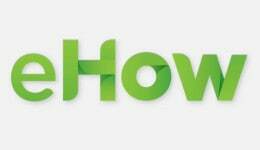 Our very own Chef Tony was recently featured on an eHow video series about Grilling & Cooking. 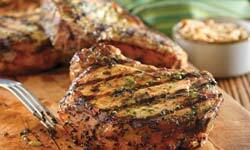 Watch as he cooks up some delicious recipes on the grill. The XRF Analysis Gun is capable of showing us the exact materials used to manufacture the grills we sell. We do this analysis in our grill videos so you can feel confident you're buying a quality product. 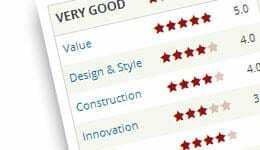 Whether you want more information about new outdoor cooking products or an opinion on grill brands, we are here to guide you.